Well, after meeting hundreds of princess-loving girls with their hundreds of princess-hating moms, I have to say that maybe we are misremembering slightly. And I would probably be guilty of the same thing. After all, I would definitely say I wasn’t into princesses as a child. But when I watch Cinderella with my son, who likes his own fair share of Disney princesses, I can quote most of the movie. So, um, I must have been at least a little bit into them? And my husband probably wouldn’t say he was into princesses either, but he knows all the lyrics to Aladdin and thinks Walt Disney wrote The Little Mermaid. So . . . maybe we are kidding ourselves somewhat? And if kids are going to be into princesses, we can make the most of it with good princess role models. This princess, who lives, as you might guess, on 8th Street, is one of those. When the Princess of 8th street, who is not maybe the best at making friends because she seems rather shy, is forced by circumstances of her mother’s errands to interact with other kids at the park, she is timid at first. But then she meets . . . the Princess of 10th street! And that, which I think is a brilliant punch line for a story, is about all there is (and all there needs to be) in this simple book. Kids who read the story will learn that there IS room in a princess’s life to make a few friends. And there’s room within a two block radius for two princesses. Or, if you have a very outgoing kid, the book might be used as a way to suggest some more quiet, creative play times. Maybe you could have a tea party like the princess in the book and bring out the inner imagination in an otherwise rough-and-tumble child. (The tea party could be outside in a tree house and could involve a less dainty snack than tea, if that’s what it takes.) It’s all about finding your child’s comfort zone and stretching it just a little. I love to use use books to stretch my kids’ idea of the world, to let them see new ideas, and then to convince them to try to experience them for themselves. It’s not over when you close the cover! What do you think? Were YOU a princess person growing up? BE HONEST! 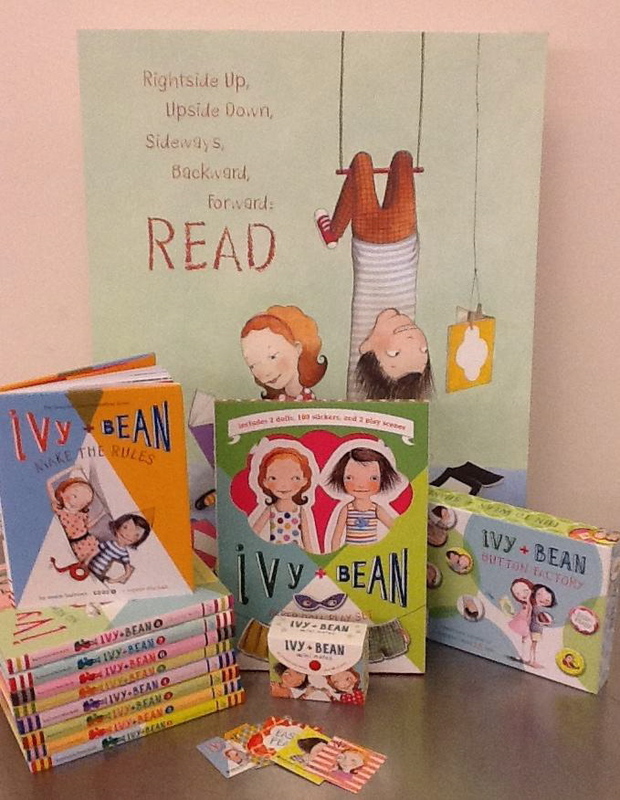 Ivy and Bean Blog-a-bration with lots of book giveaways! Ivy and Bean are getting ready to release their 9th book. And I am here to help them count down the weeks until it comes! With free books for you! And when I realized how long it was going to take me to explain all of the nitty-gritty stuff, I decided I should put it in a separate post. 🙂 Good luck! CONTEST DETAILS: One entry per person. Enter by leaving a comment ON THE POST (NOT HERE–THIS IS JUST THE RULES!) that includes a way to contact you. People may enter by commenting on this blog in any of its published locations, which include TheFamilyThatReadsTogether.com, ParentMap.com, and NashvilleParent.com. 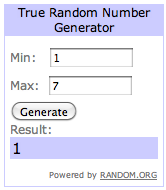 I will choose one winner with a random number generator. (Comment number 1 on TheFamilyThatReadsTogether.com will be assigned #1. Comments will be numbered successively, with comments on ParentMap.com next and comments on NashvilleParent.com last (so the last comment on NashvilleParent will be the highest number). If that doesn’t make sense, take a coffee break and then reread. Or just email me.) ONE winner will be chosen from each week’s comments. As in, NOT one from each site, but one total. I will also be giving away sets of Ivy and Bean mini notes, in separate posts, only at TheFamilyThatReadsTogether.com. Book 1: Blog posted Friday, August 17. Comment deadline: Monday, August 20, midnight Eastern time. Book 2: Blog posted Monday, August 20. Comment deadline: Saturday, August 25, midnight Eastern time. Book 3: Blog posted Monday, August 27. Comment deadline: Saturday, September 1, midnight Eastern time. Book 4: Blog posted Monday, September 3. Comment deadline: Saturday, September 8, midnight Eastern time. Book 5: Blog posted Monday, September 10. Comment deadline: Saturday, September 15, midnight Eastern time. Book 6: Blog posted Monday, September 17. Comment deadline: Saturday, September 22, midnight Eastern time. Book 7: Blog posted Monday, September 24. Comment deadline: Saturday, September 29, midnight Eastern time. Book 8: Blog posted Monday, October 1. Comment deadline: Saturday, October 6, midnight Eastern time. Book 9: Blog posted Monday, October 8. Comment deadline: Saturday, October 13, midnight Eastern time.